What will Singaporeans be worrying about in 2017? 2016 has no doubt been a turbulent year. On June 23, we saw Britain exit from the European Union (EU) – also termed as “Brexit” – causing ripples across the global economy and leading to a drop of the pound to a near 30 year low. And just recently, in perhaps one of the most highly controversial US Presidential Elections in history, millions across the world watched as multi-billionaire businessman, Donald Trump, was voted as the President of the United States of America. As global markets face uncertainty in the following months to come, Singapore’s economy has no doubt been affected as well. With the rather sluggish market outlook for 2017 coupled with global issues around the world today, here are some of the concerns that Singaporeans might possibly have for 2017. The Straits Times recently reported that Singaporeans are likely to get a 2.9% pay increase on average next year. While employers are prepared to lift salaries by about 4%, Singapore is expected to face an inflation of 1.1% next year, bringing the real wage increase down to 2.9% in 2017. With rising inflation alongside a disproportionate increment in salaries for next year, it might mean a higher cost-of-living for Singaporeans in the upcoming year. Will The Trains Break Down…Again? The Mass Rapid Transit (MRT) have been plagued by a series of regular breakdowns in recent years and just a few weeks ago, many commuters were affected by a 4-hour delay on the Circle Line – in which a “mysterious signal fault” was cited as the cause of disruption. With more train lines slated to open next year, such as the third stage of the Downtown Line, we can only pray and hope for fewer #trainbreakdowns in 2017! With the current hiring outlook looking bleak, fresh graduates in Singapore will have an uphill task ahead when it comes to finding jobs next year. The general hiring sentiment is slowing down despite certain industries, such as accounting and software development, still hiring actively. In fact, whilst technological shifts and innovation are spurring the pace of change and our economy is being transformed and digitalised, some old jobs will inevitably be lost, but new ones are being created. The Labour Chief has even identified that fields related to data and connectivity should do well. Finding the ideal job might prove to be challenging and 2017 expected graduands might have to settle for contract jobs or short-term internships until the job market picks up. Open your eyes and ears and be alert to new opportunities. But who knows, it could be a blessing in disguise for millennials who are now free to explore newer and more unconventional occupations! Buzz surrounding the Singapore Presidential Election 2017 has officially begun, with PM Lee Hsien Loong stirring up massive waves in the local community through his announcement that the Presidential Election 2017 will be reserved for Malay candidates. What does this change spell for Singaporeans and future of the status of our President? Some may opine that it is a move considered as mere tokenism, but it’s certainly a positive move in the aspect of improving the racial representation in the political arena. With Donald Trump as the Elected President of USA, what now for Singaporeans? With Donald Trump being voted in as the next president of USA, there have been a lot of speculation about how that might affect Singapore. For one, there is the possibility that Trump will bury the Trans-Pacific Partnership (TPP), a trade agreement that Singapore and 12 other nations have a stake in. While this is a political issue that is beyond our control as mere citizens, this could mean that goods imported from US might now be pricier than before or possibly even more difficult to bring to our local shores. Perhaps, it is time to start looking for other alternatives such as Taobao or Alibaba! The outlook for 2017 may seem uncertain for Singaporeans, but as the saying goes, worrying will never change the outcome. If Britney can get through 2007, we certainly can get through 2017! 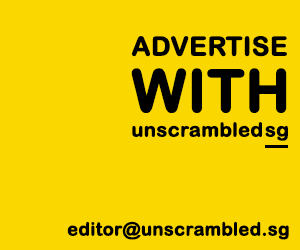 This article is brought to you by Unscrambled.sg and ShopBack.sg, a local e-commerce start-up that provides cashback when you shop online from over 500 local and international stores! Next PostHow did Sheng Siong earn S$42.2 million within 9 months? With the suggestion of PM Lee about SG Presidental Election, it looks set he will destroy himself and the PAP. How can we kick him out of government?